Wondering where to go this #weekend?? Head over to Vishnuji Ki Rasoi Thane to pamper yourself with our rich and savoury unlimited #Punjabi & #Maharashtrian #Thali It's the only place to go if you are in the mood for some Maharashtrian Zayka & Punjabi Tadka 😋 And don't forget, our special reduced rates for Thali make it all the more enjoyable. #Thane offers many amazing #Ganapati #Pandal that you must see during this Ganesh Mahotsav...So this #weekend take a drive around the city visit all of them. 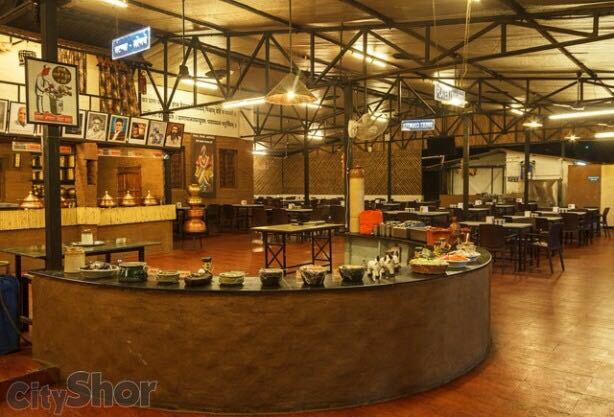 And while you are there why not come to Vishnuji Ki Rasoi for lunch or dinner! #TGIF everyone!!! The #weekend is almost here...If you no plans why don't you give #VishnujiKiRasoiThane a visit and try our authentic #spicy #Maharashtrian food. For reservations please call 9920920000.